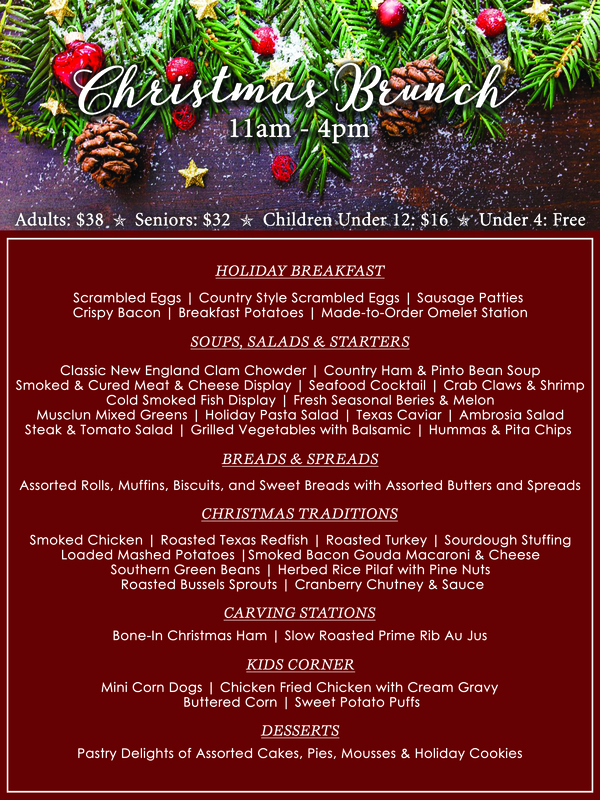 An incredible menu rolls out for Christmas Brunch, 11 am - 4 pm Christmas Day at Lubbock's Overton Hotel according to their website. Sure to make your Christmas day special this meal includes everything from breakfast eggs to an abundance of traditional favorites, two carving stations for Christmas ham and prime rib, kids corner and a wide array of desserts. You can follow this link for the full menu. Adult meals are $38 and children under 12 $16, Under 4 eat free, and there's a senior discounted price as well. Get out of the kitchen this Christmas and enjoy a spectacular meal with all the trimmings at The Overton Hotel. Enjoy the additional Christmas cheer of their Gingerbread House display! There's no shortage of Christmas spirit at The Overton located at 2322 Mac Davis Lane in Lubbock.